To be honest, until the Common Cause partnership of non-ECUSA Anglican churches with the Anglican Communion Network arose a couple of years ago, I did not give much thought to the non-ECUSA Anglican denominations in the United States. But the hope of reuniting this "Anglican diaspora" with orthodox Anglicans who have remained inside ECUSA until now is becoming brighter and brighter with each passing month. It turns out that this "Anglican diaspora", when you add it to the dioceses and parishes afflilated with the Network, would produce an orthodox province of nation-wide scope. The Greater Danbury Anglican Fellowship has produced a helpful map of the diaspora churches that may be found here. Because of this state of “broken Communion” within Province VII, we are asking Diocesan Convention to withdraw its consent to be part of this Province. Provinces in the Episcopal Church, not to be confused with Provinces of the Anglican Communion, are voluntary associations of Dioceses. The current structure of the nine provinces in the Episcopal Church is based primarily on geographic proximity. To withdraw from Province VII or any other geographic province would have no effect on our standing in The Episcopal Church, or in the Anglican Communion. 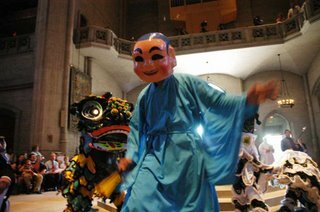 Like the Diocese of Pittsburgh, it is our hope that we can associate with a tenth Province based on a shared faith rather than mere geographic proximity. The Anglican Communion Network has been functioning the last three years as a Province within The Episcopal Church, and we believe our Provincial relationships will be best served by our association with the Network. For all these reasons, we ask the lay delegates and clergy of the Diocese to prayerfully consider this resolution presented by your Standing Committee. 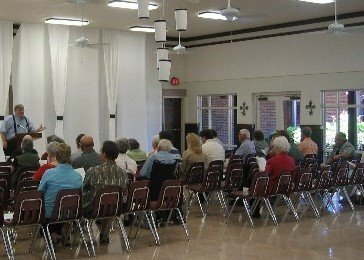 Members of the Committee will be present at each of the Pre-Convention Deanery Meetings to discuss the resolution and its impact on the Diocese of Fort Worth. Wish they all could be California bishops? Readers of this blog will remember that the Anglican world was on pins and needles a few months back, wondering if the diocese of California (i.e., San Francisco and its hinterland) would elect as their new bishop any of the gay or lesbian candidates who made their ballot. In the end a straight, if extremely liberal, male candidate won election, the Rt. Rev. Marc Andrus. 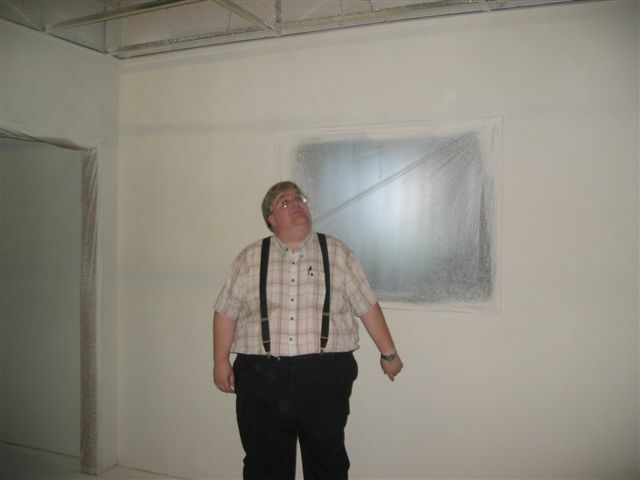 Now he has been installed, and pictures of the installation have been posted on their web site. I thought I would pass along a few highlights. 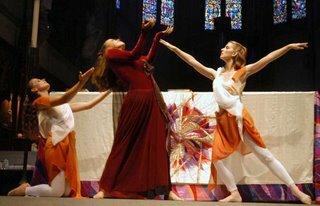 Then, of course, there had to be liturgical dance, since this is a left-wing diocese. I believe this scene before the altar represents St. Mary Magdalene on Easter morning (I'm not sure who the folks in white are--the angels? some of the other women who accompanied St. Mary to the tomb? SS Peter and John?). The role of Jesus was danced by David MacCauley. 'Nuf said. You often hear people on the theological left use the term "Donatist" to describe orthodox Anglicans who oppose recent innovations in the Episcopal church. Father John Heidt, canon theolgian of the diocese of Fort Worth, has posted a short essay on his blog that treats this topic. (He co-authored this essay with his son, who is also a priest.) I commend it for your thoughtful consideration. More Progress--The Carpet is In! 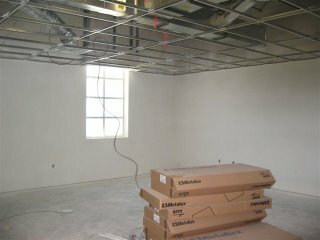 More progress has been made on the second floor of St. Vincent's School's upper school building. They have just laid the carpet, and they are slowly getting all the electrical sockets in working order. This work is impressive, but they need to pour on the steam now. We start classes in just over two weeks, and they still need to lay the hall tile and install the ceiling panels. We really need everything ready to go on opening day, and time is short. Godspeed the workmen! Where does the Fort Worth Diocese go if it leaves Province 7? "It's hard to say," said Suzanne Gill, a diocesan spokeswoman. 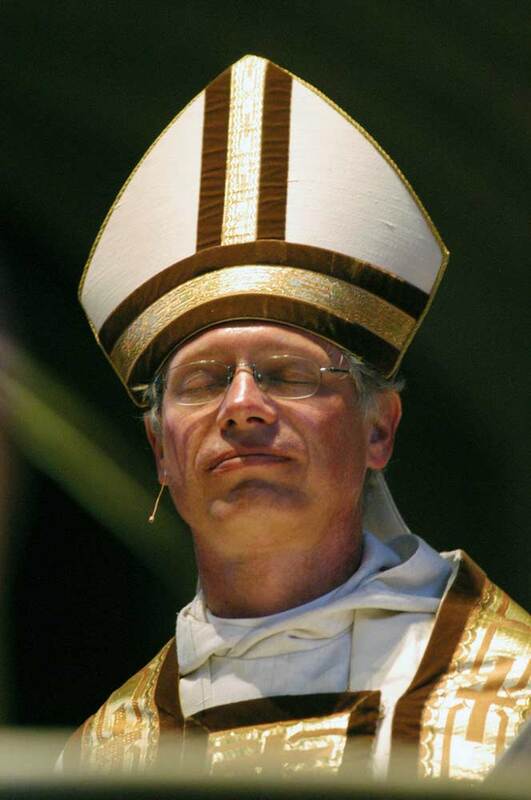 "Dioceses cannot be included in a province without consent. "We are opting out. We have not opted to go anywhere." Many are calling for the creation of a separate, nongeographical province for conservative Episcopalians, Gill said. The resolution notes that U.S. conservatives have asked for alternative "pastoral and apostolic care to biblically orthodox Anglicans in this country regardless of geographical location." The entire article may be found here. Ecumenism has changed considerably with Benedict XVI, says the director of an organization whose courses include a focus on interreligious dialogue. "The Pope has adopted a more episcopal model for his ministry," said Father James Puglisi, director of the Pro Unione Center in Rome. "In fact, if one looks at the first stamps, they are without the tiara and with the inscription 'Episcopus Romae.' This is of great importance for the Orthodox." Among the topics addressed during the course, special attention was given to the present state of the promotion of Christian unity. Father Puglisi noted Benedict XVI's innovations and added: "His approvals of the Eastern episcopal elections are no longer in the Vatican Web site section 'Resignations and Appointments,' but on a separate page for relations with the Catholic Eastern Churches with the expression 'we received the decision' of a Synod and 'I accept in the episcopate.'" This is it! The "Big One"! THEREFORE BE IT RESOLVED that the Episcopal Diocese of Fort Worth, pending final ratification by its 24th Annual Convention, withdraws its consent, pursuant to Article VII of the Constitution of the General Convention of the Episcopal Church, to be included in the Seventh Province of the Episcopal Church. For those who may not have noticed the recent comment by "Christopher+" on this blog a couple of posts back, this well-informed priest notes in it his belief that the present draft of paragraph 7 of the proposed Theological Statement now reads: “We receive the Thirty-Nine Articles of Religion of 1562, taken in their literal and grammatical sense, as the normative expression of the fundamental principles of the Anglican Way, and of its response to particular doctrinal issues controverted at that time.” Christopher+ is typically well-versed in the affairs of traditionalist Anglicans in North America, so I imagine he knows what he is talking about here. This revision should take care of most of my concerns about the ACN's possible endorsement of the 39 Articles as a disciplinary tool, because reading the 39 Articles in the "literal and grammatical sense" is the Tract 90 way of handling the anti-Catholic articles. And the final words of the revised proposal places the 39 Artilces in their sixteenth century historical context and highlights the fact that they are intended to be read today more for their principles than for the specific issues they addressed "way back when." If the final version reads as Christopher+ predicts, the Theological Statement should not become a club with which to attack Anglo-Catholics. 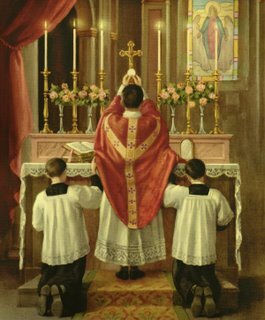 Elevation of the host for veneration during the Eucharist and other traditional acts of Catholic piety should not be endangered. I hope the wiser heads prevail at the meeting next week, and they stand strong for REAL inclusivity of both Evangelicals and Anglo-Catholics within the future orthodox Anglican province. Today was my final class on the Revelation to St. John at St. Vincent's Cathedral. I really enjoyed teaching this class, and attendance was good most Sundays. (Attendance frequently topped 80, but was actually a bit low today. Our choir is singing at Ely Cathedral in England at present, taking 20 regular class members with it.) The questions were lively and thoughtful throughout. Thanks to all who attended and contributed, especially to my father (my "T.A."). One of the more exciting aspects of the present "realignment" of Anglicanism in North America is the prospect of reunion between the various traditionalist Anglican bodies in our country that have previously separated from the Episcopal church (many of which are not in communion with Canterbury) and the Anglican Communion Network dioceses (which are in communion with Canterbury). At its national gathering in a couple of weeks the Network will discuss signing onto two documents meant to foster that much-hoped-for reunion. I like the idea very much, and most of what is in these documents seems quite wise to me. *Second, as an Anglo-Catholic I am nervous about the strong statement endorsing the 39 Articles of Religion "as foundational for authentic Anglican belief and practice and as correctives to doctrinal abuses." (Emphasis added.) 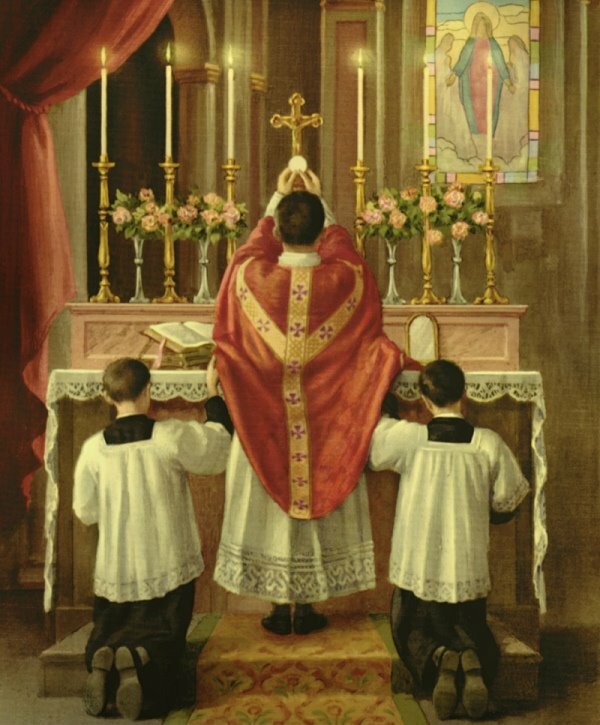 Granted, the majority of the Articles are salutary and could serve as an effective check on some pernicious heresies, but at least a few of the Articles could potentially be used by Low Churchmen to suppress traditional Catholic liturgical practices (e.g., the veneration of the Blessed Sacrament, the Reserved Sacrament, etc. See the final paragraphs of arts. XXV and XXVIII. Other liturgical problems could arise from art. XXII.). The Articles encode a strongly "Reformed" interpretation of the Faith as normative (e.g., art. XVII, among others), and a good number of Anglo-Catholics I know could not sign onto them without some pretty creative hermeneutics! I would, if anyone cared to ask me, insist on protections for the traditional Anglo-Catholic understanding of our faith and practice before signing off on this clause. I note that a clause in the proposed "Covenant Declaration" declares the intent "to create a unity in the essentials of our Anglican faith that respects our varied styles and expressions." (Emphasis added.) This clause was surely included to insure that both Evangelicals and Anglo-Catholics will be welcome to continue their customary practices and "expressions" in our reunified future. Excellent. But language should be included in the seventh paragrah of the proposed "Theological Statement" that insures any future disciplinary use of The 39 Articles will model this tolerant spirit between the Evangelical and Anglo-Catholic parties of orthodox Anglicanism. The potential for harm is too great if we do not. The two documents under discussion are reproduced below. A story placing them in context may be found at the ACN web site. We, the representatives of the Common Cause Partners, do declare we believe the following affirmations and commentary to contain the chief elements of Anglican Reformed Catholicism, and to be essential for membership. 1) We receive the Canonical Books of the Old and New Testaments of the Holy Scripture as the inspired Word of God containing all things necessary for salvation, and as the final authority and unchangeable standard for Christian faith and life. 2) We confess the historic faith of the Undivided Church as declared in the Catholic Creeds. 3) We believe the teaching of the Seven Ecumenical Councils in so far as they are agreeable to the Holy Scriptures, and have been held by all, everywhere, at all times. 4) We hold the two sacraments of the Gospel to be ordained by Christ Himself, Baptism and the Supper of the Lord, and to be administered with unfailing use of Christ’s words of Institution and of the elements ordained by Him. 5) We accept the 1549 through the 1662 Book of Common Prayer and its ordinal as the foundation for Anglican worship and the standard for doctrine and discipline. 6) We believe the godly Historic Episcopate to be necessary for the full being of the Church. 7) We affirm the Thirty-Nine Articles of Religion as foundational for authentic Anglican belief and practice and as correctives to doctrinal abuses. • to partner together in a renewed missionary effort in North America and beyond, driven by our passion for Jesus and His Gospel. • to ensure an orthodox Anglican Province in North America that remains connected to a faithful global Communion. • to create a unity in the essentials of our Anglican faith that respects our varied styles and expressions. • to build trusting relationships marked by effective coordination, collaboration, and communication. How about a break from the recent dire news for the Anglican Communion? I wanted to post a short update on the construction of the second floor of our upper school at St. Vincent's Cathedral School. Until five weeks ago the second floor of our new building was just an empty shell, boasting only outer walls, a concrete floor, and a roof. But now the interior walls of our new second floor build-out are all up. They were being painted today when I stopped by for a visit. 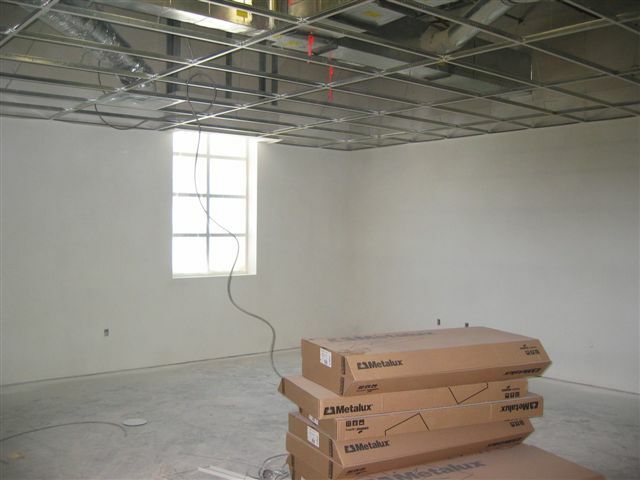 The framework for the classroom ceilings is also in place (the acoustic panels that make up the ceilings will be dropped into place once the light fixtures are hooked up next week) and the electrical wiring has been strung. The classroom and office doors still need to be put into place and the floors need to be tiled or carpeted, but one can actually see things beginning to fall into place. That's a good thing, because teacher in-service starts in just three weeks. I cannot wait for the first year of our high school to start on August 14th! 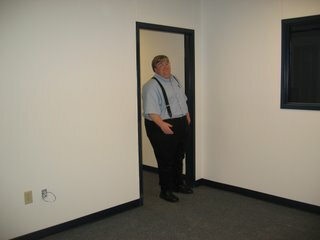 The picture above is of my new chaplain's office (finally, a place of my own in which to talk with parents and students! 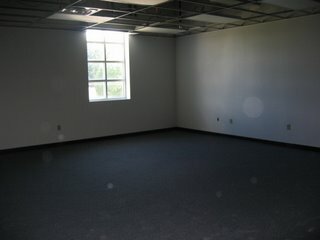 ), while the picture below is of my classroom across the hall from my office. I will be teaching a variety of Religion, History, Geography and Western Civ classes there this year, for grades six through nine. Photos by R.D. Foster. The bishops of California, Los Angeles and San Diego are preparing presentment charges which may be filed as early as next week against the Rt. Rev. John-David Schofield, Bishop of San Joaquin, according to three persons who attended a diocesan meeting July 8 at St. John’s Church, Los Angeles. The announcement was made by the Bishop of Los Angeles, the Rt. Rev. J. John Bruno, according to the three, who requested anonymity because they are not authorized to speak on behalf of the bishop. Many orthodox Anglicans in North America were heartened a couple of weeks ago by the Archbishop of Canterbury's recent remarks in his letter to the primates of the Anglican Communion referring to a possible "need for local Churches to work at ordered and mutually respectful separation between constituent and associated elements." For many traditionalists in the US, this was what we had been waiting for--the hint of a future endorsement from Canterbury of an "amicable divorce" between the Anglican Communion Network and the rest of TEC. Mention of this leads me to say a word about my own published reflections in the wake of General Convention. In spite of some interesting reporting and some slightly intemperate reaction, this contained no directives (I do not have authority to dictate policy to the provinces of the Communion) and no foreclosing of the character and content of such a covenant. Were any such arrangement to be proposed, it would of course have to be owned by the constitutional bodies governing Provinces. The proposed Anglican covenant would be an important part of determining who is within the "first tier" Anglican fold and is, therefore, entitled to full membership in the Communion. Presuming that the Network endorses the covenant and the rest of TEC does not, this would be prima facia evidence in working out the terms of the possible "divorce" in North America. Action one way or the other on the proposed covenant may in fact be a prerequisite to "respectful separation" within provinces. But the tone of his recent address to Synod indicates that the Archbishop is still thinking in terms of TEC's normal governing structures (i.e., General Convention) handling the issue of whether to endorse the proposed Anglican covenant or not. This means, to my reading that ABC is thinking in terms of traditionalists staying put within TEC until GenCon09--or perhaps even GenCon12 if there are "constitutional" changes involved, as seems possible. Thus the end of the uneasy Anglican status quo in North America may not come until GenCon12! 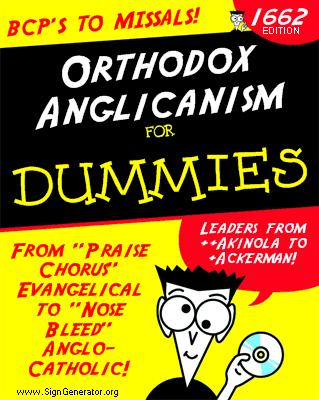 But will there be any orthodox Anglicans left within the bounds of TEC by 2012? I rather doubt many will remain six years from now. The Archbishop must realize that events have overtaken the "business as usual" procedures of constitutional church government. The Anglican world is in crisis and strong leadership is called for. If we are to avoid the mass exodus of the orthodox from the Communion, particularly in North America, definitive action must come more quickly than two General Conventions down the road! Ma Beck over at Ward Wide Web has called our attention to a clever little on-line amusement--create your own "Dummies"-style book cover! Lots of fun for the entire family. You can make your own here. ... we call upon the Bishop to appeal to the Archbishop of Canterbury for a direct primatial relationship with him for the purpose of mission, pastoral support and accountability. • an appropriate realignment or, if it becomes necessary, an “ordered and mutually respectful separation” of congregations and dioceses who desire to “opt-in” to the Anglican Covenant, proposed by the Windsor Report and the Archbishop of Canterbury himself, as distinct from those portions of the Episcopal Church which do not desire to do so. This is clearly a very strong statement, which speaks openly about "protection" of orthodox parishes in heterodox dioceses (which will clearly involve crossing diocesan boundaries to provide episcopal oversight) and the real possibility of "separation" of the diocese of Dallas from the non-Windsor compliant portion of the Episcopal Church. There is an excerpt from the AP story published in today's Dallas Morning News here. FYI, the other dioceses appealing for APO at this time are Fort Worth (Texas), Springfield (Illinois), Quincy (Illinois), Pittsburgh (PA), San Joaquin (Cal. ), South Carolina and Central Florida. WOW!!! Is This First Official Act Establishing "The New Anglican Order"? Synod is satisfied with the move by the Global South to continue with its veritable project of defending the faith committed to us against present onslaught from ECUSA, Canada, England and their allies. The need therefore, to redefine and/or re-determine those who are truly Anglicans becomes urgent, imperative and compelling. Synod therefore empowers the leadership of the Church of Nigeria (Anglican Communion) to give assent to the Anglican Covenant. The Lambeth Conference which is one of the accepted organs of unity in the Anglican Communion is due for another meeting in 2008. The Synod, after reviewing some recent major events in the Communion, especially the effects of the ‘revisionists’ theology’, which is now making wave in America, Canada and England, observed with dismay the inability of the Church in the afore­mentioned areas to see reason for repentance from the harm and stress they have caused this communion since 1988 culminating in the consecration of Gene Robinson, a practicing homosexual in 2003 as a bishop in ECUSA. Synod also regrets the inability of the See of Canterbury to prevent further impairment of the unity of the Church. It therefore, believes strongly that the moral justification for the proposed Lambeth Conference of 2008 is questionable in view of the fact that by promoting teachings and practices that are alien and inimical to the historic formularies of the Church, the Bishops of ECUSA, Canada and parts of Britain have abandoned the Biblical faith of our fathers. Synod underlines the need for maintaining the age-long tradition of a ten-yearly Conference of Bishops in the Anglican Communion for discussing issues affecting the Church. It therefore calls on the leadership of the Global South and Council of Anglican Provinces in Africa (CAPA) to do everything necessary to put in place a Conference of all Anglican Bishops to hold in 2008 should all efforts to get the apostles of ‘revisionist agenda’ to repent and retrace their steps fail. RWF continues: I am not certain precisely what this all means, but the final sentence in no. 3 above seems to imply that Nigeria is calling into question whether Lambeth 2008 should take place at all. (For non-Anglican readers: Lambeth 2008 is the next scheduled incarnation of the gathering of all of the world's Anglican bishops that takes place in England every 10 years.) And paragraph no. 4 above is apparently calling on the Global South to host its own world-wide Anglican bishops' conference somewhere else instead--a conference that would presumably exclude "the apostles of the 'revsionist agenda'" who have not repented and retraced their erroneous steps. Is this the new Anglican Communion we have heard so much about in the birthing?! Father WB of Whitehall blog has tagged me with a musical meme that is presently going around the Net. I have interpreted it to mean "List seven songs that are more or less stuck in your head at present. That is, songs that keep coming back to your mind over and over again, day after day, as you go about your business." It is a diverse list, though one heavy on religious music (no big surprise). I must admit, I am slightly nervous about admitting to a couple of these, but the answers are honest. I will tag six others in a few days. As your bishop, I renew my ordination vows to guard and defend the faith, unity and discipline of the Church, as a faithful bishop of the Anglican Communion, standing in full compliance with the Windsor Report. And I call upon each one of you to remain faithful disciples of our Lord Jesus Christ and to continue steadfastly in your life of worship, prayer and witness in the world. Whatever decisions we may be called upon to make in the days ahead – or whatever decisions others may make for us – I can assure you of this: the Word of God will continue to be truly preached and truly heard in the churches of this diocese; the Sacraments will be faithfully administered and faithfully received; and we will continue to show the power of the love of Jesus Christ to all among whom we live. Scriptures or our creeds, our clergy or our Bishop. Our hope is built on nothing less than our Lord Jesus Christ, in the power of the Holy Spirit. By His grace, we will remain faithful through whatever turmoil lies ahead. Read Bishop Iker's entire letter here. As a member of his flock, I am greatly comforted by Bishop Iker's confidence that the threatened take over of our diocese by national headquarters in the event of a definitive split between the orthodox and Schori's TEC will not be successful.